It’s an unusual day on the back lot of the Disney Studios in Burbank. Pyrotechnics experts are wiring up incendiary devices and air cannons, and a memo has been circulated to all offices on the lot, warning them to expect a series of explosions later in the day. There’s a bit of tension in the normally bucolic town square setting, which is about all that remains of the Disney back lot. Gaily-dressed extras hang around, playing cards, reading, waiting for the cameras to roll. Firemen – both real ones and actors – lounge on the back of a Burbank fire truck. Nearby, construction workers are putting the finishing touches to Disney’s new corporate headquarters, a sandstone-colored modern monument on which the roof will be supported by statues of (ahem! )…the seven dwarfs. The brobdingnagian creatures (let’s face it – can you call a twenty-or-so foot statue a dwarf?) are covered by plastic tarps to hide them from prying eyes until the structure is ready for its public unveiling. The building and nearby parking structure have eaten up much of the studio’s back lot. For the time being, there’s not a mouse in sight. The star of this production is a frog. A frog…on the lot built by a mouse. A brick wall is about to be blown to smithereens, and the crew is hustling about, making sure every little detail of the filming is locked down, every safely precaution is firmly in place. The project that Henson is directing is a 3-D film, scheduled to become an attraction at the Disney/MGM Studio Tour in Florida. California’s Disneyland may have its hipper-than-thou Michael Jackson as a 3-D “Captain EO”, but Florida’s multi-dimensional image will be good ole lovable Kermit the Frog and his Muppet Friends. Kermit, Miss Piggy, and all of the Henson characters are becoming a hard-working part of the Disney family in a buyout deal that has been estimated as worth $150 to $200 million dollars to Henson, even though neither party has quoted numbers. While the production shuts down for a lunch break, Henson heads for Disney’s Rooftop Executive Dining Room for a fast lunch and a chance to talk about the way things will be going when his company becomes a part of Mickey’s empire. 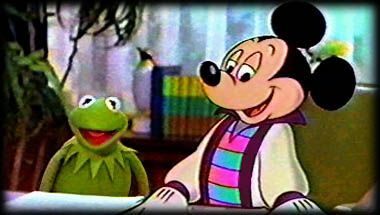 Henson says that the idea of the merger started with a meeting with Michael Eisner to discuss some joint projects, but before too long, the conversation turned to a high-powered deal wherein Mickey’s empire takes over Kermit’s domain. “We’ve had feelers in the past,” Henson adds, “but I’ve never been interested. I think Disney is the only place that has been of interest to me. People have tried to get our characters into theme parks and other things. I’ve never wanted to be in any other park because I think Disney does it so much better than anyone else. And I love Disneyland, Disney World. These are two of my favorite places. Being able to design things for those parks is really a lot of fun. I’m having a good time." The deal makes much sense for Disney’s theme parks and licensing. For product licensing, it provides a universe of popular characters that have been the genesis of hundreds of best-selling products. For the theme parks – both domestic and foreign – it provides a host of new but well-known characters around which new rides and attractions can be built. For The Disney Channel and Disney Home Video, it brings in programming ranging from 120 episodes of THE MUPPET SHOW – the most widely seen television show in the world (an estimate 235 million viewers in 100 countries during its five-year run) – as well as Henson’s award-winning library which includes five feature films and a raft of episodes of FRAGGLE ROCK, THE JIM HENSON HOUR, the MUPPET BABIES Saturday morning TV show, and other programming. Henson says that the number of his company’s employees, which he estimates peaked at about 110 in the United States and 10 or 30 in the United Kingdom is down to about 70 now, most of whom will be absorbed into Disney. Henson’s already-busy production slate is brimming over with Disney-related projects. Among the projects he lists is a nature series for The Disney Channel, using an entirely new group of characters. For the time being, much of Henson’s work is focused on Disney’s Florida operation. He surmises that in the future, more and more of his production will take place in Florida studios and the new attractions will be built. 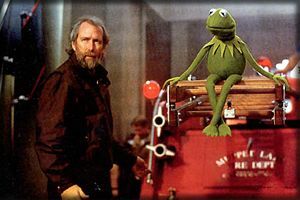 “Eventually, in a couple of years, we’re opening a thing called ‘Muppet Studios’, a whole area of the park, which will be part of the Disney/MGM studio tour,” Henson observes. “At the moment, they need more ‘stuff’ in Florida. The urgency is to get something in Florida.” For the time being, he assumes that the Henson characters will not play a major role in Disney’s plans for expansion in California – a tourist plum for which Anaheim and Long Beach are both vying. THE MUPPET BABIES is Henson’s only animation project at the current time, and speculation is that it will come into the Disney fold when Henson’s contract with Marvel runs out during the 1991-92 season. But Henson, who once came to Disney looking for work as an animator, says that he wants to make some more movies in that area. He even speculates that an animated Muppet feature might be down the road. “I would like to involve some computer animation down the road,” he adds. “I’m really very enthusiastic about computer animation”. 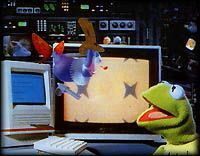 Henson moved into computer animation with “Waldo”, a character in THE JIM HENSON HOUR, which was animated by Pacific Data Images (PDI) as a real-time image. He says that Waldo is created by using an actual character in a low-resolution imaging system, then the tape is rendered into high-resolution and matted back into the final picture. “To us, it’s just like doing puppetry,” he says. The Disney deal comes at a time of intense activity at the Henson operation. THE GHOST OF FAFFNER HALL has just completed an HBO run, and Henson’s sixth feature film, THE WITCHES – directed my Nicolas Roeg, based on Roald Dahl’s children’s book and starring Angelica Houston – opens soon. 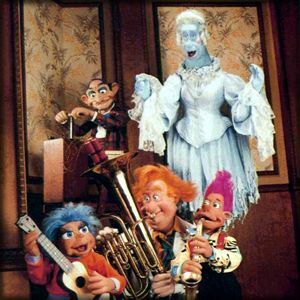 It mixes live action with puppetry. The company is also producing GULLIVER’S TRAVELS as a four-hour miniseries for NBC. 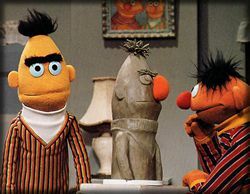 And in the past year, Henson Associates licensed 700 new products an a traveling arena show called “Where’s Animal?” The company has even spawned traveling art shows, including, “The Art of the Muppets”, “The World of Jim Henson – Art & Animatronics”, and “Miss Piggy’s Art Masterpieces: Treasures From the Kermitage Collection”. And Henson has even lent a director’s helping hand to the TEENAGE MUTANT NINJA TURTLES. 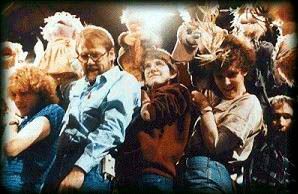 Back at the 3-D set, Henson watches as the technicians prepare for the Big Bang. As he talks a about the project, a prop man stops by to tell him that there is a hold while a “Danger Fireworks” sign must be replaced with one made from balsa wood. He talks about his family, most of who are involved with the company. “My son John is working on this film. Brian is a puppeteer with me in England. My daughter Cheryl was a designer on some of the shows we did last year, and she’s also a puppeteer. Heather is my youngest, she has yet to come into it all, but she probably will in some way or another. And my oldest daughter is at Warner Bros. He talks about his children’s television: “I suspect that the best things being done now are being done for cable – a combination of Nickelodeon, Disney Channel and HBO are all doing some things. It’s difficult because if the networks do children’s television they have to pay for it with commercials. I don’t think that’s particularly a good idea, and you end up with commercial-driven entertainment. You want people to be doing children’s entertainment because you want it to be the best kind of programming for kids. Networks aren’t really designed to do that; they’re not designed to create that. They’re designed to create programming that gets people watching or buying products. The prop man passes by carrying the new balsa-wood sign. Henson laughs as he notices that “Fireworks” is misspelled. He sends him back to make a correction. Back in his director’s mode, Henson goes over to the camera position to check the shot again. The effect will be a fire truck backing through an exploding brick wall, with “Sweetums” and Kermit riding the ladder out over the audience. A primary camera shoots the scene and just above it the secondary shoots through a mirror to get a slightly offset image. The cameras are remotely operated and are in an enclosure to protect them from the explosion. The crew and visitors are ordered to get behind the protective barricades. Henson peers around a corner on the set. On cue, pyrotechnics fill the foreground with smoke and sparks. Then the air cannons fire and the wall is blown to smithereens. Slivers of brick and wood fly over the barricades, back into an ivy-covered embankment. There’s a general feeling of “wow” on the set…followed by a burst of applause from the filmmakers. “That was great”, a smiling Henson says as he calls for a playback on video assist. The crew mills around the TV set to look at the shot, then hurries to set up the next – a view through the “hole in the wall” toward the town square filled with balloon-carrying actors portraying Disney World tourists – before the light fades on the Burbank back lot. They discover that a sliver of brick has smashed through the protective glass and hit the lens of one of the cameras (watch for that effect in 3-D!) – but the film is undamaged. They rush to re-rig the cameras. The Muppet Master goes to the other side of the set to check details with the crew. Son John, accompanied by some Muppet manipulators, comes over to congratulate Dad on the shot. Henson chats amiably, his voice carrying just a bit of that familiar “Kermit the Frog” twang. Jim Henson Productions is calmly enfolded into Disney. Mickey is happy. Kermit is happy. 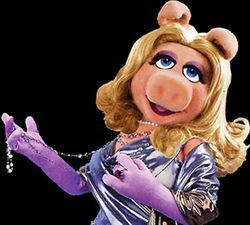 Miss Piggy is happy. And Jim Henson appears to be pretty happy about the deal too. Editor's Note: This article was published a few weeks before Henson's untimely death on May 16, 1990. 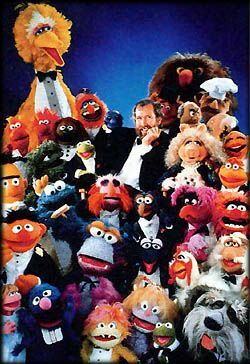 After several legal battles, Jim Henson Productions and Disney mutually ended merger negotiations in December 1990.